Richard G. Rosenbloom, DMD earned his undergraduate degree from Binghamton University, where he was elected to the Phi Beta Kappa honors organization. He then pursued his dental education at the University of Connecticut where he earned his D.M.D. and graduated with honors, near the top of his class. 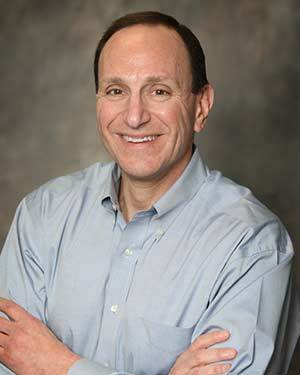 Dr. Rosenbloom continued his graduate dental education at UCONN, where he completed the speciality program and was awarded his Certificate in Orthodontics. Locally, Dr. Rosenbloom has served for many years on the Executive Board of the Dutchess County Dental Society and is currently the Treasurer, and former Editor of their monthly Bulletin. Dr. Rosenbloom is honored to have been nominated by his peers as “Best Of The Hudson Valley” by Hudson Valley magazine every year since the poll was initiated in 2008. Dr. Rosenbloom is married and he and his wife, Louise, are the parents of six children. His interests include skiing, cycling, golf, and hiking- the local availability and proximity of all of these activities makes the beautiful Hudson Valley such a great place to live (and work)! If asked, he will also enthusiastically discuss baseball and football (including fantasy football) – especially regarding his two favorite professional sports teams- the New York Yankees and the Miami Dolphins.